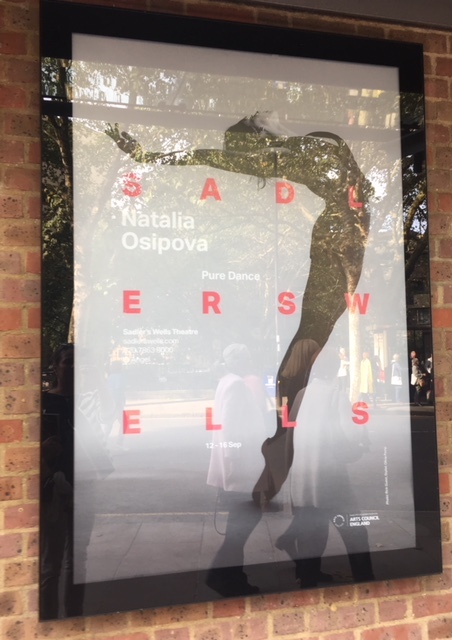 I think it has become a good annual tradition for me to see Natalia Osipova on stage at Sadler’s Wells in London in the last few years and every time I find her even more mesmerising. 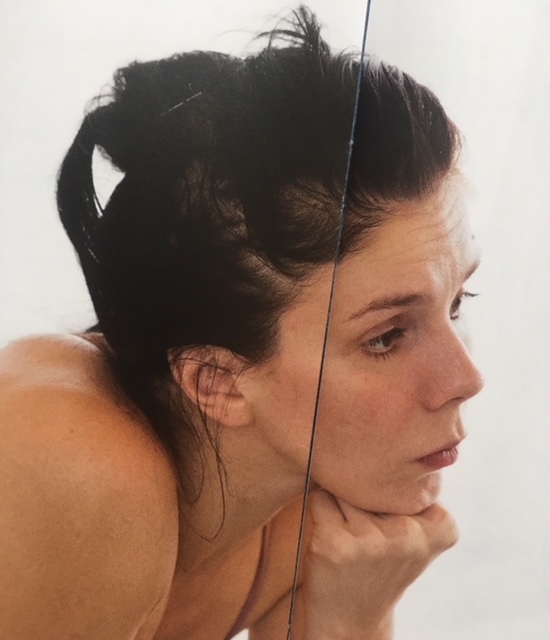 Earlier this month Natalia presented a new programme created for her by several renowned choreographers, allowing her to showcase her talents and dance with the partners whose company on stage she clearly relishes. 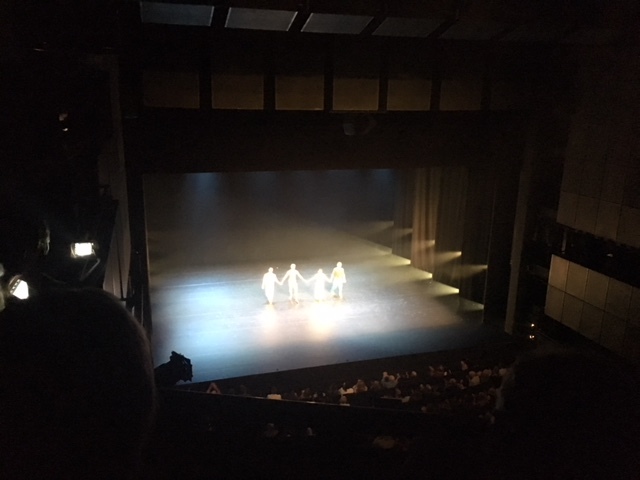 Pure Dance at Sadler’s Wells was a pure art form infused with joy & technique that put both children and grown-ups in the audience in awe of the accomplishments and physical abilities of modern ballet dancers, who often combine classical ballet techniques with modern dance interpretations. Spontaneity is the best way to be transformed within a short window of opportunity and open your eyes and body to new opportunities and experiences. Watching Russian ballerina Natalia Osipova is akin to giving yourself some much needed soul medicine. Unlike some dancers, she doesn’t rest on her achievements and accolades, but surges forward, experimenting and taking her talent to new heights every time she emerges on to the stage. September is a great month for new beginnings and from 12 to 16 of September Royal Opera House principal presented her new programme titled simply ‘Pure Dance’. On this occasion I decided to take my own little ballerina along and open her eyes to the possibilities of dance and ballet evolution and the programme showcased the seamless synergy between classical ballet and contemporary dance. 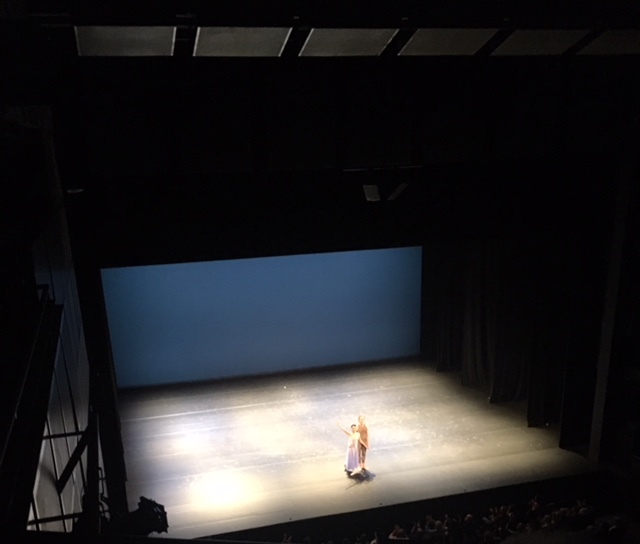 Accompanied by three male pillars of ballet, Natalia presented new works created for her with the stage partners, whose stage partnership she clearly relishes (spoiler alert: no sign of Sergei Polunin on this occasion ). America Ballet Company and former principal of the Bolshoi Theatre David Hallberg ( their ‘Valse Triste’ choreographed by renowned Alexei Ratmansky was actually full of joy and Natalia gracefully sliding into a split and then seamlessly coming out of it made my daughter’s eyes light up and widen in wonder. 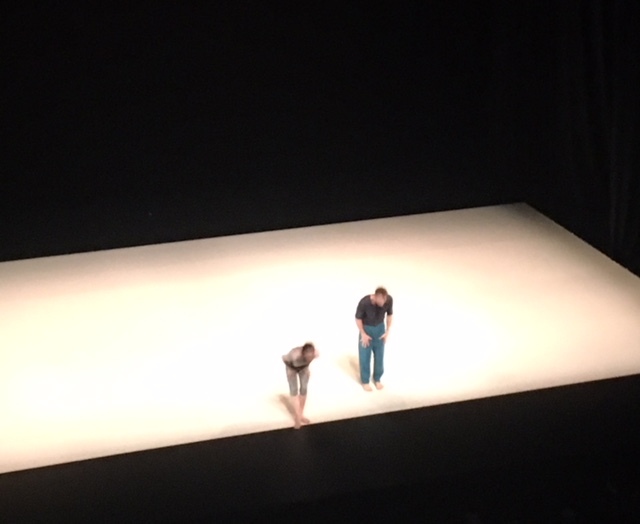 David is a tall and elegant dancer, yet there is power in his movement on stage and his posture and performance always manage to look regal, even when he danced in jeans and a tee alongside his shadow in his Kim Brandstrup choreographed ‘In Absentia’). Jonathan Goddard accompanied Natalia in the Ivan Perez‘s must see dance ‘Flutter’, for anyone who loves any form of dance. This programme was the first time it was seen by the public and judging by the reception in the end it was a big hit. Fusing together dance, light and a variety of musical sounds, it is a veritable masterpiece that stays in your mind long after the performance is over. Appearing and disappearing, arriving and departing, the journey of discovery of this 15 minute ballet was created upon Natalia’s request for Ivan to dream up a dance for her and Jonathan. Inspired also by the music of the composer Nico Muhly, it brings together female voices archiving memories, past addresses and a personal journey. However, for both my daughter and I the eye-opener came in the third act. ‘Six Years Later’ was choreographed by Roy Assaf and in a way it’s a story of the evolution of a relationship. A journey between past and present, a dream or reality, caresses and slaps, joy and embarrassment – this 16 minute dance makes you hold your breath, as the music starts with Deefly, naturally progressing to goosebumps-giving Beethoven’s Moonlight Sonata by and ends with the uplifting guitar led ‘Reflections’ by Marmalade – a song that is sudden, unexpected and fills you with the sense of wonder of the creative genius of the choreographer and the magic of the story-telling done by the bodies and faces of Osipova and Jason Kittleberger. Classic and modern, ballet and music, a man and a woman, a sense of elusive magic and fragility of life. Next time you see Natalia’s name and the mention of her upcoming performance, do buy a ticket and allow your body some moments of stillness, while your soul recharges its depleted reserves with positively charged molecules floating in the air. Galina Reviews: Amly serum collection that combats the negative impact of modern livingCustomer service – how much does it matter ?